It’s been a tough month here at Esperanza Verde. We’ve had to say goodbye to some of our older animals but also welcomed new additions to our family. We had several visitors during this month. 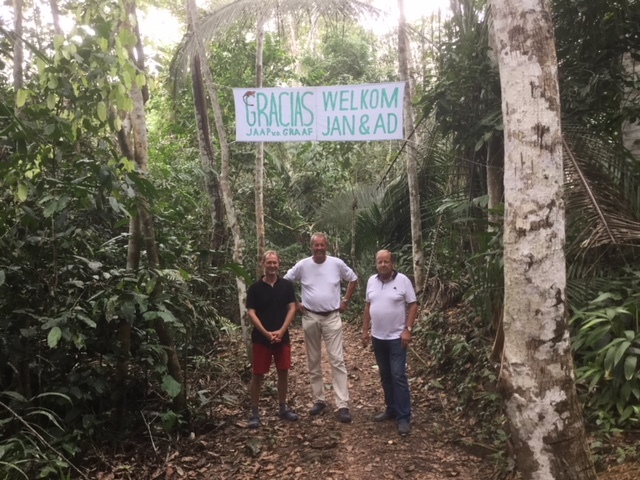 Ad Boom and Jan Plaisier from the Foundation Jaap van de Graaf came to visit us to see our project and the start of the quarantine which they are financing. 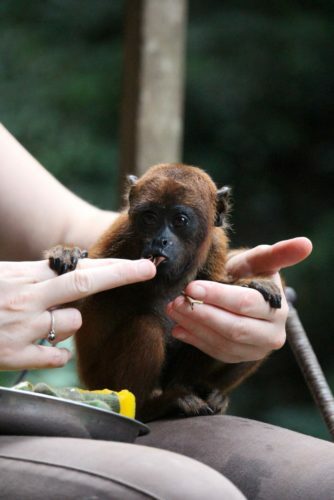 Lauren and Iain came over from England to give us a hand with everything, and Silvia Canelos (from amaZOOnico) and her boyfriend Leonard came to visit and helped us with new arrival baby Ramon (male howler monkey). With enough volunteers here and Lauren and Iain back again, the family got a chance for a quick holiday in Pucallpa. 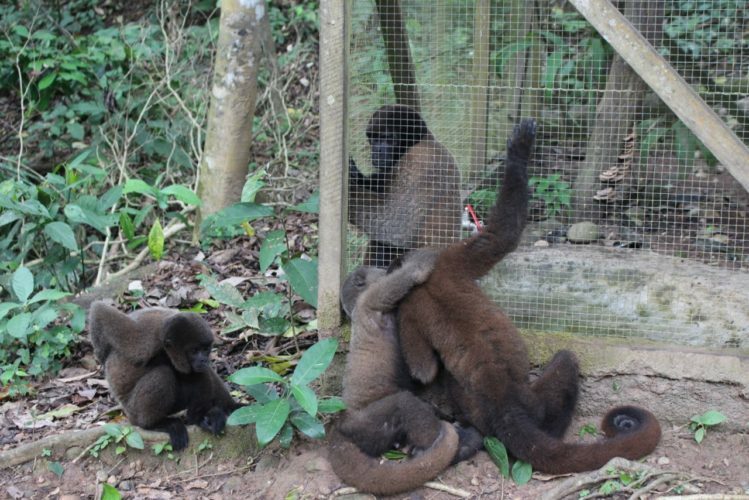 Talisha, female woolly monkey, was released together with Nakoya and Samara (female woolly monkeys). 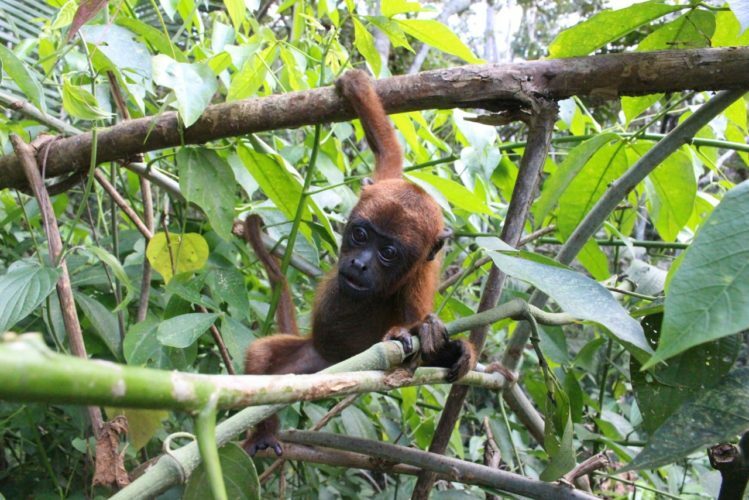 She has been regularly carried by Loki (male woolly monkey) and is playing a lot with the rest of the woollies, as well as with Darwin and Kaya (male and female howler monkeys). In the first nights we brought her in to stay with Darwin and Kaya, but soon she got adjusted and she is now staying outside with the others. 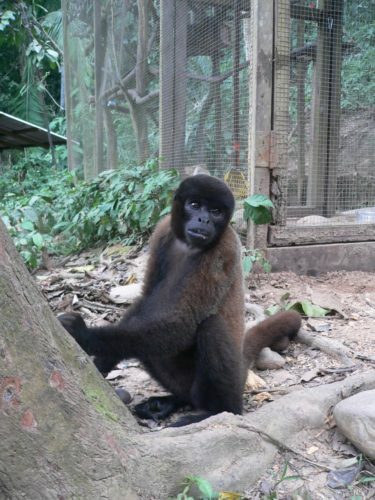 Samara, female woolly monkey, has been fully recovered and was happy to be outside again. 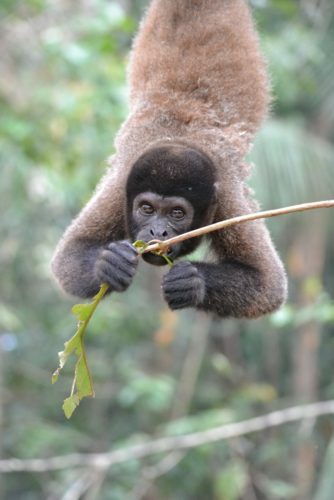 Unfortunately, we lost her closest friends in the woolly monkey group – Pashko and Nakoya (male and female) were both bitten by the peccaries while they were trying to steal food from the peccary enclosure and we were unable to save them. The way the peccaries are being given there food has now changed to make sure that this kind of accident will not happen again. 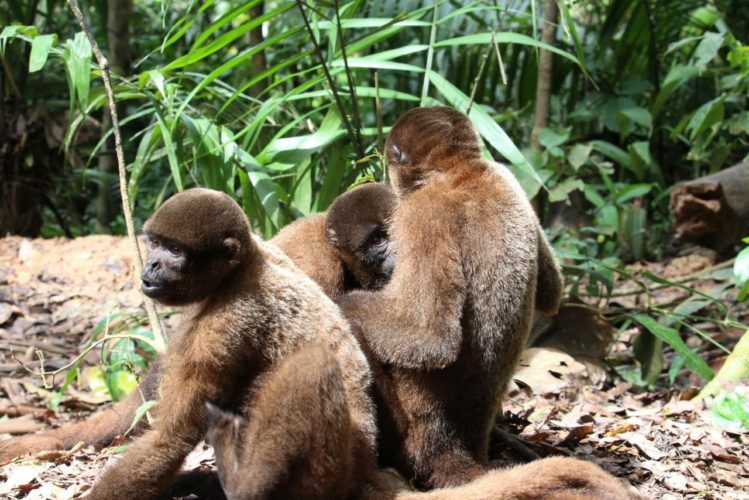 After a short period of being a bit of a loner, Samara now is hanging out more with Chiquita and Lupa (female woolly monkeys). 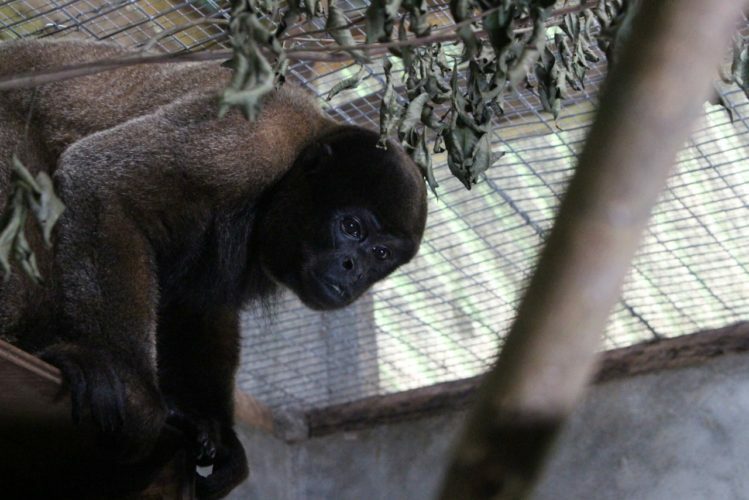 Cesar, one of our male howler monkeys had been sick on and off for a long time. Recently his condition became worse, he was very ill for over a month and was staying for intensive care at at Douwe and Olivia’s. He became unresponsive and after 24 hours we made the tough decision to help him go. 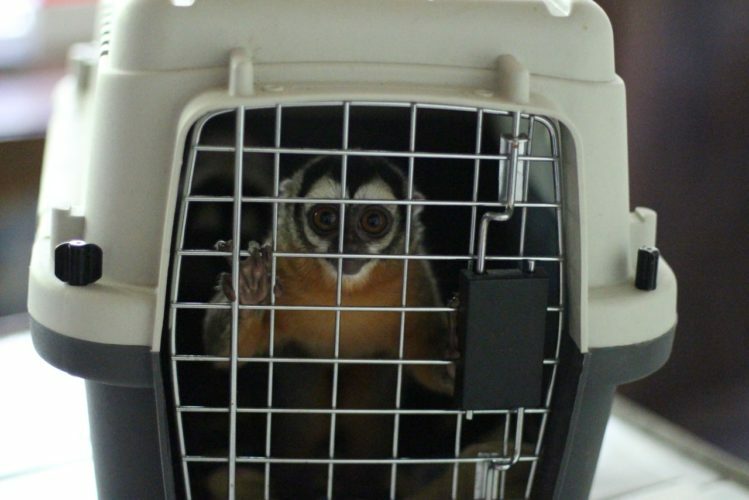 Luna and Otis (female and male night monkeys) were moved to a more suitable cage for their release, the Roko cage, from which we released Sira (female night monkey now living outside) almost two years ago. After some time adjusting they we will let them explore life outside at Esperanza Verde. Ruena our female tayra has had a tiring month as Douwe has been teaching a few volunteers to walk her. 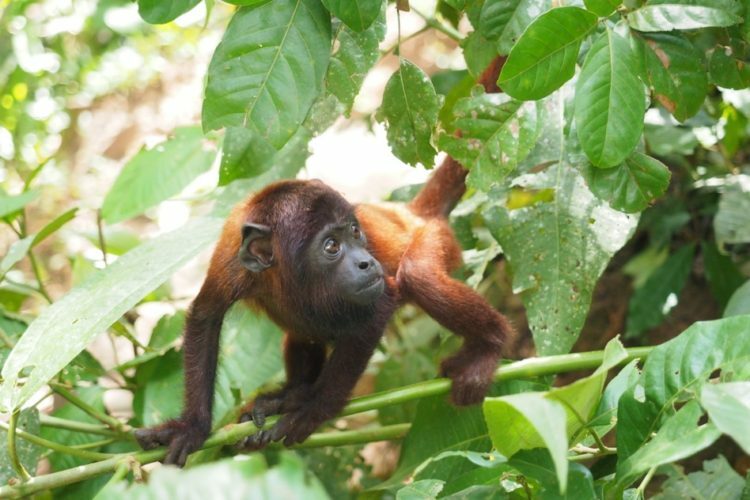 The walks have been very successful and she loves finding new smells and discovering new fruits from jungle. 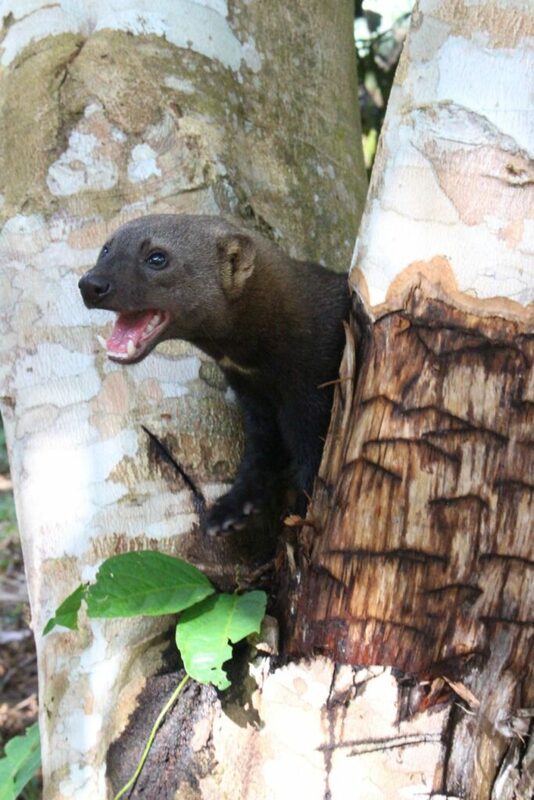 She is learning the ropes of being a wild Tayra and we hope that these walks will hone her skills for life in the jungle. 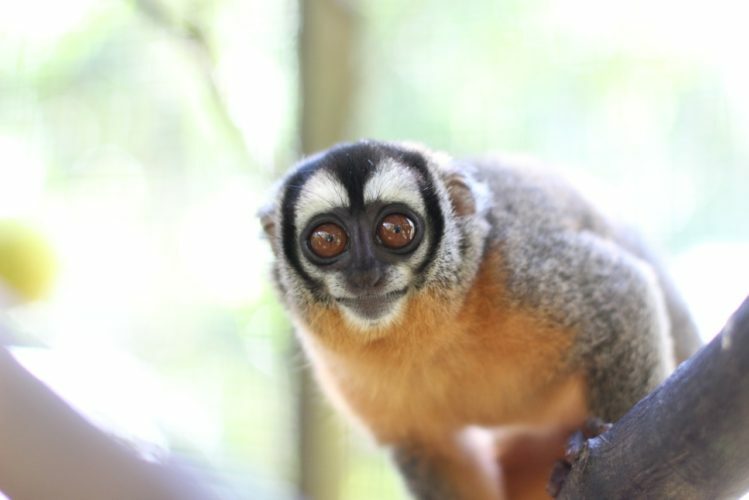 As she explores, the trees and rotting wood provide her with many climbing experiences as well as natural enrichment. Our non-flying parakeets have been moved to a new enclosure. The Igor enclosure is slightly more isolated than our other enclosures and will give them a more natural setting as they continue their rehabilitation. 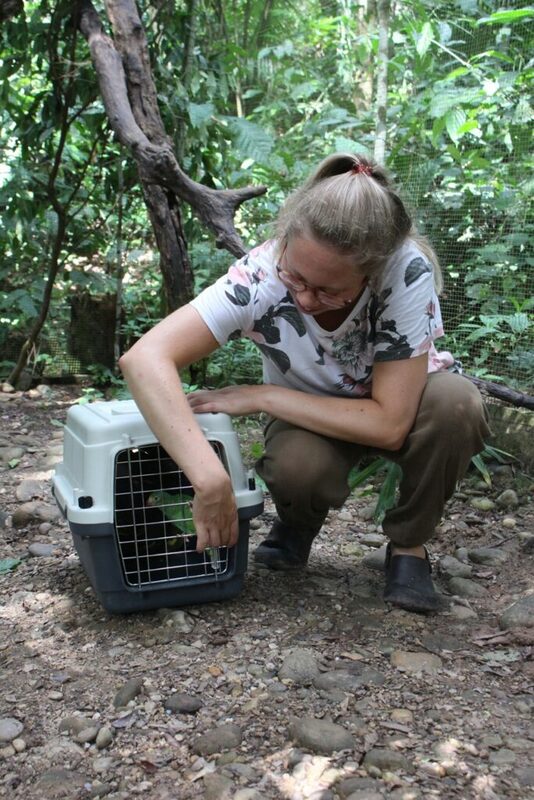 They have already been visited by some of our already released white eyed parakeets (Aratinga Leucophthalma). This was a really positive experience for both the birds and people as this shows that our work is having a continued effect on local wildlife. It’s always nice to have some of our released animals drop in from time to time. 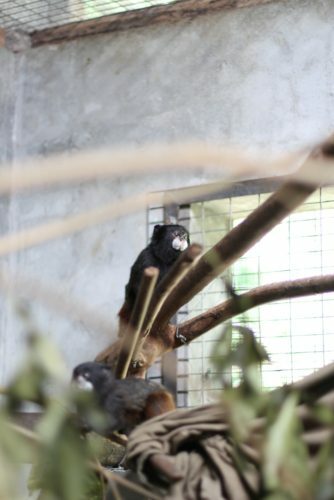 Benito and Tagu, our two saddleback Tamarins continue to do well. When the SUST Hospital was built, we had dividing doors placed between cages to allow for controlled introduction of similar species. 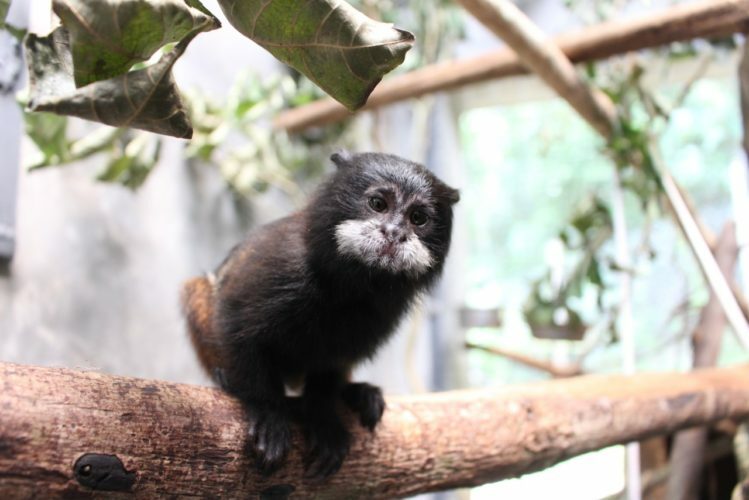 This seemed an excellent opportunity to use this system as introducing Tamarins is often a stressful experience. Fortunately Tagu and Benito have quickly taken to each other and have become good friends. 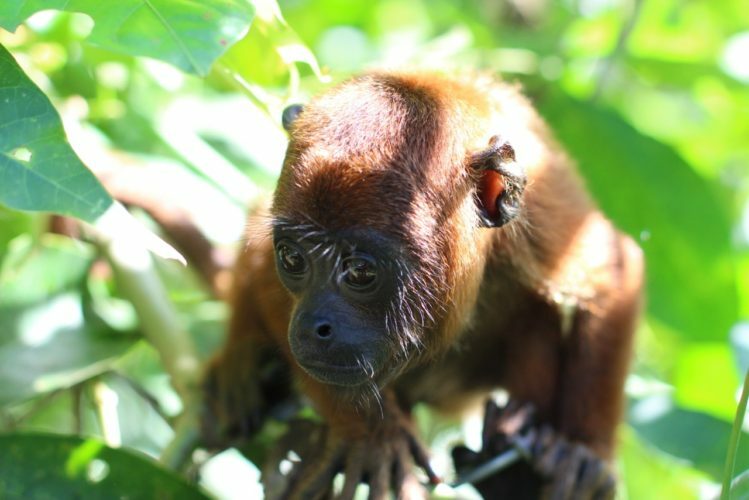 Tagu has become more relaxed and Benito has become less tame as Tagu teaches him the ropes of being a wild Tamarin. 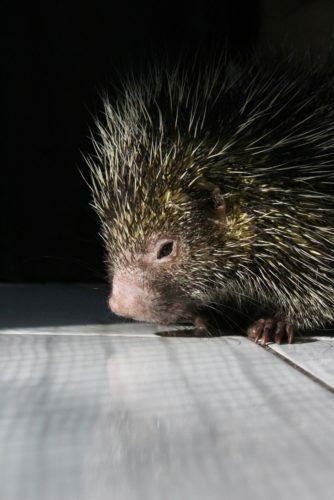 Soraya our Amazonian dwarf porcupine has been moved out of the SUST animal hospital and moved to an outside enclosure to help with her recovery. She seems to be enjoying her outside enclosure, moving around a lot chewing on the wood inside her enclosure and the volunteers are enjoying making new enrichment for her. 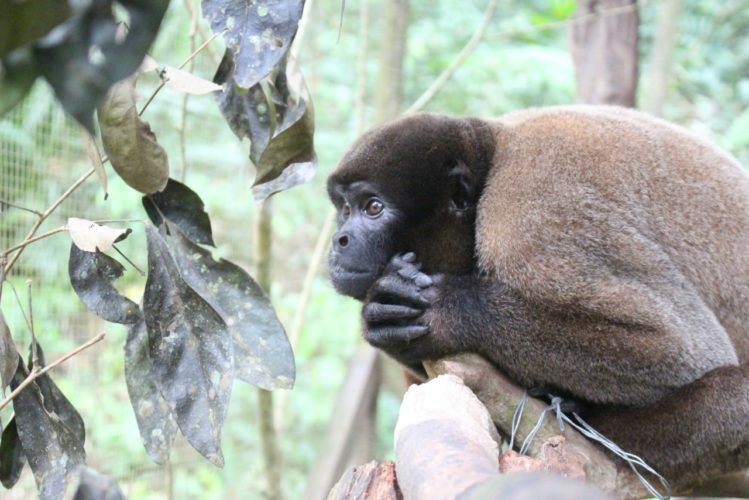 Suly is a new female woolly monkey who was brought to us by a woman from the village. 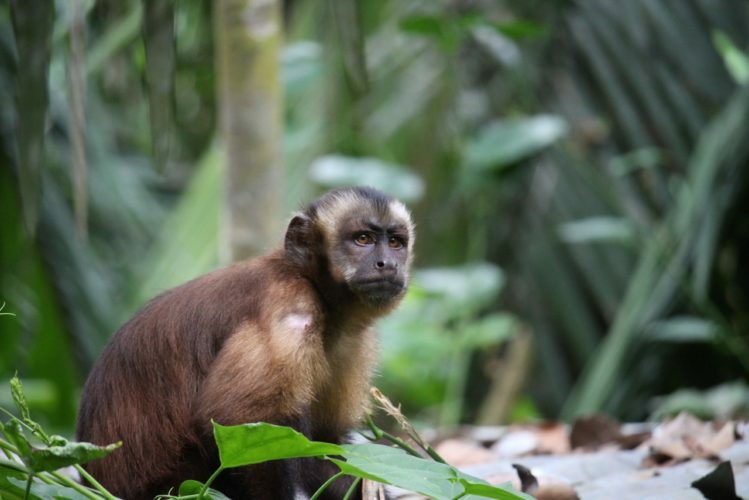 She recognized that she was unable to care for the monkey properly and had wanted to sell her, but was encouraged by some of the locals to bring Suly to Esperanza Verde. This is a really encouraging sign that attitudes toward wildlife conservation are improving in the local community. While she has spent time with humans, she is showing a few wild characteristics such as sleeping on branches rather than in one of our sleeping boxes. We have high hopes for her and look forward to introducing her to released woolly group. 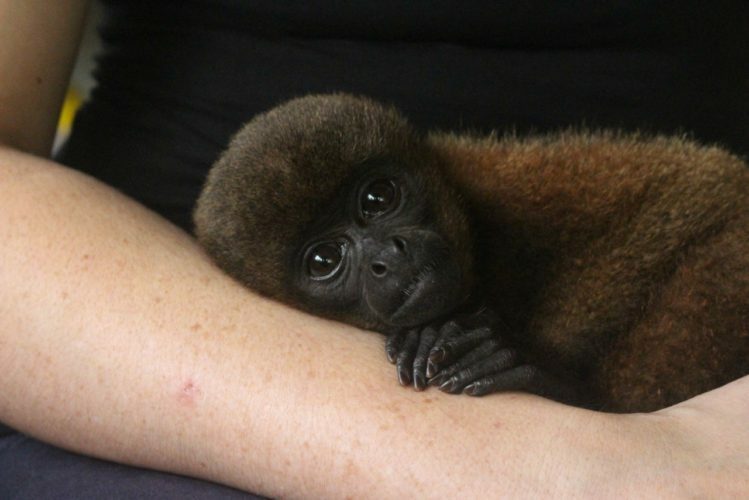 Ramon, our newest baby howler monkey, has been doing great. He spends the night with Lauren and Iain and his days with the volunteers. He is a very playful and happy young monkey who particularly likes men with beards. He has already started to play in the trees and spends his day eating wild leaves and playing outside. He always has someone with him to take care of him as he is still too young to be outside alone. 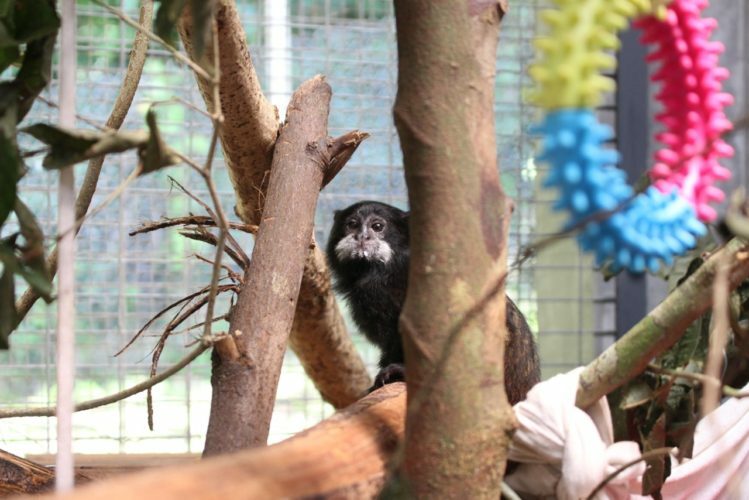 He regularly spends time inside the Howler enclosure so that he gets a chance to get used to Darwin and Kaya. 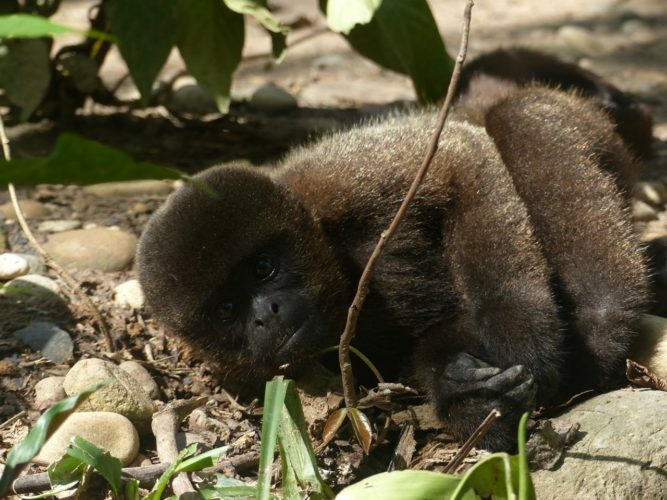 Howler monkeys are particularly susceptible to depression, so when they are this young they are one of the few animals that receive human contact here at Esperanza Verde as our hands off policy would, in this instance, be detrimental to the animal. Fortunately Ramon is already becoming more independent by the day. 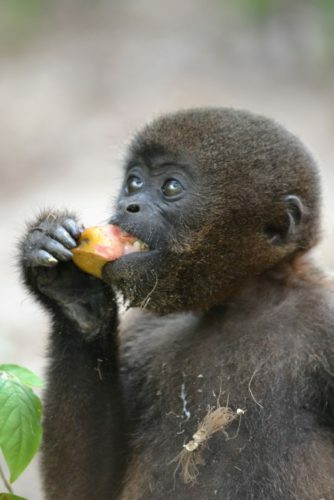 Moyo is a new male woolly monkey who was brought to us by a local Peruvian woman from the nearby town of Curimana. He is 4 years old but currently very submissive. He spent his quarantine period in the SUST animal hospital where he was received a lot of attention from some of our released woolly females. 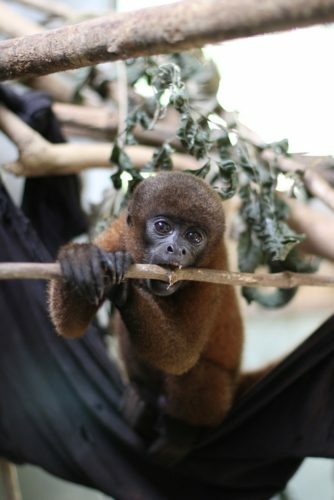 He was then moved to one of our re-introduction enclosures where he is developing a friendship with Maruja and Tawaki. Enrichment is a very important part of working with animals. During her time here, Rachel one of our volunteers created enrichment manual to help new volunteers to understand the requirements of certain animals. This manual has been instrumental in the improvements in enrichment for the animals with loads of toys and activities to help the animals practice the skills they will need when they are released back into the wild. 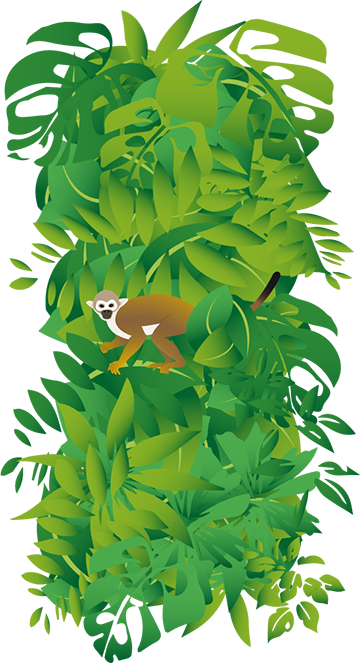 These enrichments range from foraging activities, behavioural enrichment, or sometimes just moving parts of the enclosure around to give different jumping and play opportunities. It’s always important to keep our enclosed animals mentally and physically stimulated, no matter how long they spend with us here at Esperanza Verde. Some children and adults from the local village of Bello Horizonte were given a tour by Douwe. 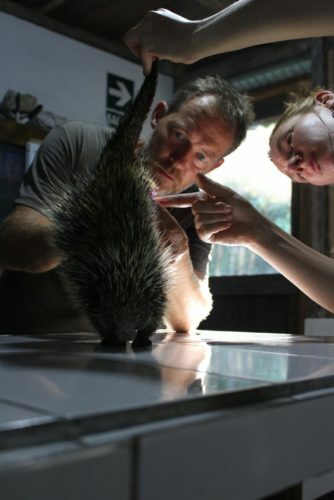 Showing the animals that are around Esperanza Verde and educating them on their behaviour and why they need to be kept wild. The construction of the quarantine building is coming along at quite a pace with so many volunteers here to lend a hand. The cement pillars have been poured, and the ever popular job of digging the septic tank hole completed. Of course it wouldn’t be a real Esperanza Verde construction project without sandbags. Our volunteers have been working extra hard to pile up over 200 bags of sand ready to make the floor once the roof is on. The wood for the roof beams arrived this week so the next stages of the construction are ready to begin, once everything has been carried up from the port.